Here Are the Most (and Least) Pet-Friendly Cities in the U.S. Sometimes the only thing that makes this crazy world feel like home is an 80-pound pseudo-wolf that watches you while you eat. Or a cat that loves peaches. Or a dog in the office. The point is, pets can have a huge impact on your life and are all around super-chill to have around, so you should be in a place that encourages critters, not Cruella de Vil's them. To aid you in your pursuit of a purer, pet-friendlier locale, check out a study released by WalletHub on Tuesday. It ranks the 100 pet-friendliest cities in the United States and even comes with a handy map. For your convenience, we've broken it all down into the top and bottom 10 and embedded the map below, but you can check out the full report and more specific ratings. To use this map, just hover over a location to see its ranking. The darker the dot, the more pet-friendly the city. 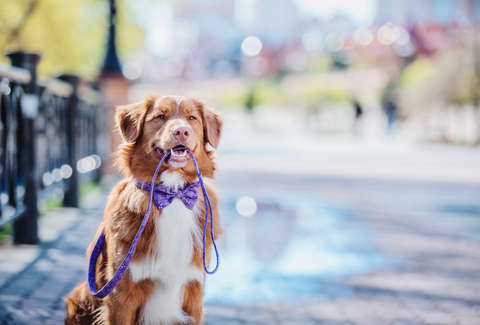 To put this study together, WalletHub compared the country's 100 most populated cities across three major categories: 1) Pet Budget, 2) Pet Health & Wellness, and 3) Outdoor Pet-Friendliness. Those were broken down into 24 metrics -- like veterinarians per capita, dog parks per capita, and weather -- and graded on a 100-point scale. Those metrics were then used to find an overall pet-friendliness score, and those overall scores were ranked to make the list you see above. As you can see, Scottsdale, Arizona came in the top spot overall, which is no surprise considering that it also took first for Pet Health & Wellness and fourth for Outdoor Pet-Friendliness. Just picture a large dog amiably panting in the Arizona sun (Phoenix came in at No. 5) -- it makes sense. To be clear, we're not suggesting you immediately move to Scottsdale for the benefit of your dog; but there will likely be a bunch of other dogs there, which will lift your spirits for sure, so maybe we are suggesting that? On the other end is Honolulu, Hawaii in last place. The weather in Honolulu sounds lovely for a dog, but it also came in dead last for Pet Health & Wellness. That means it's not a great place to be a sick animal or the owner of a sick animal. It did come in at 31st for Outdoor Pet-Friendliness though, so it's not all bad news for the pets there. But if you're in Honolulu, we're sure you have other ways to comfort yourself than the joys of animal companionship -- like the fact that you live in Hawaii.